Let me just start this article with the following caveats: one, Google makes it more than clear that not everything will work in a Developer Preview Android build, or in the new beta system in general. 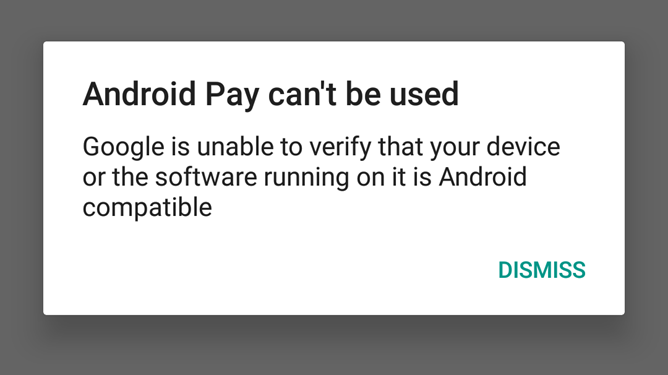 Two, Android Pay is hardly an essential service - suddenly losing access to it doesn't make your credit or debit cards stop working. Three, it's easy enough to get it back by flashing an older Developer Preview or stock build on any Nexus device that's likely to run into this particular problem. 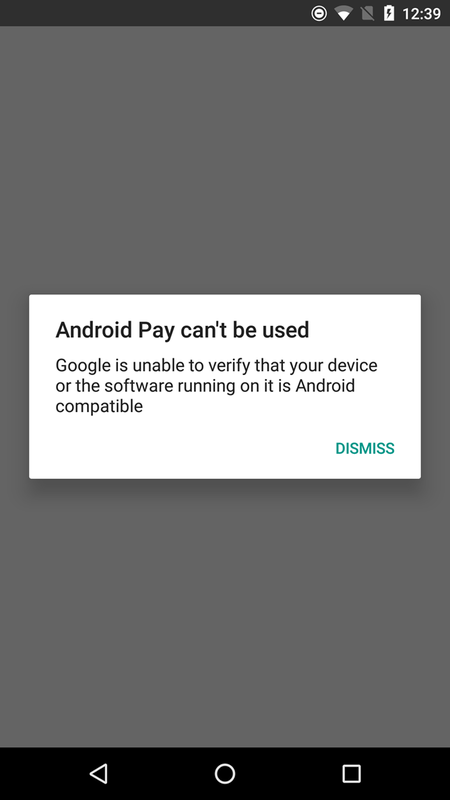 All that being said, it's pretty frustrating that Android Pay is once again borked in the Developer Preview for Android N, if only because Google managed to nip this problem in the bud only a few weeks ago. Users who had gleefully updated to the latest Pay APK and found their contactless electronic payment system of choice once again functional will see the above message if they flash Developer Preview version 4 to their devices. Oh well. If the pattern holds, Google will update the app itself to get the SafetyNet API working again... probably right before Android N lands as a final release. If it's any consolation, Google is still very invested in Android Pay, so the company will certainly make sure that everything's working right by the time the release version of Android N is ready. Looks like this is something of a false alarm, folks. If you can't get Android Pay working on Developer Preview 4, try clearing the app's cache, as mentioned by commenter Ralph below.